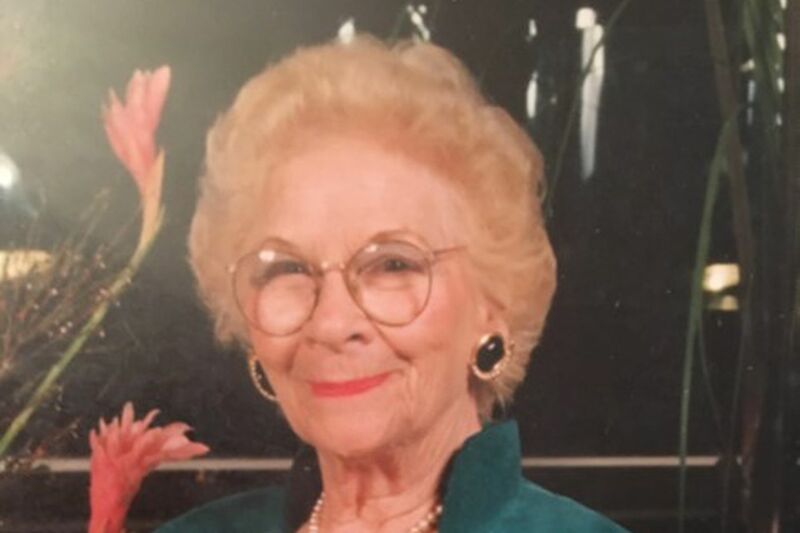 Muriel A. Toole, 102, a native of Barbados who served in the women’s branch of the British army during World War II, and later married and came to Philadelphia, died Friday, March 15, of complications from advanced age at Sunrise of Abington. For the last 57 years, Mrs. Toole had lived in Abington. She lived during 18 U.S. presidencies and two world wars. She could recall Charles A. Lindbergh’s first solo transatlantic flight in 1927; the dropping of the atomic bombs on Japan in August 1945; and the landing of a man on the moon in July 1969. “Now she shares her exit date with Julius Caesar, on March 15, the Ides of March,” the family said. Mrs. Toole was born Muriel Agnes Seale in Christ Church Parish, Barbados, in 1916. Her parents raised her and three siblings as British subjects (Barbados was then a British colony) and in the Church of England. “Proper manners and a strong English code of conduct have been a foundation of her life,” her family said. In 1939, she moved to Trinidad and worked in the hotel industry, and then with U.S. engineers assigned to the British oil refineries there. She was in Trinidad when World War II broke out. In 1942, while working as a secretary for the U.S. Army Quartermaster Corps, she met Thomas L. Toole, who was her supervisor. In 1944, she joined the Auxiliary Territorial Service (ATS), the women’s branch of the British army. Two fellow members of the service were Mary Churchill, daughter of Prime Minister Winston Churchill, and Princess Elizabeth, who would later become Queen Elizabeth II. The future queen trained as a truck driver and mechanic. Women also served as cooks, clerks, storekeepers, telephone operators, and searchlight operators. Mrs. Toole went through induction into the service in Ontario. She was deployed to Washington, where she served as a secretary in the British embassy. In 1945, she attended President Franklin D. Roosevelt’s funeral. She met Harry S. Truman and his daughter, Margaret, on April 12, 1945, soon after Truman took the presidential oath of office following the death of Roosevelt earlier that day. On July 5, 1945, she married Toole, who helped establish the Social Security payment center in Spring Garden. The couple lived in West Oak Lane and Abington, where they raised a family. During that period, she was active with the Bishop McDevitt High School Parents Club in Wyncote and Our Lady Help of Christians Church in Abington. Mrs. Toole enjoyed world travel, open ocean swimming, and working out at the YMCA. She was known for her cheerful optimism. “She greeted every person she met with sincere well wishes and a cordial, happy smile,” her family said. Her husband died in 1981. She is survived by children Sharon T. Hilinski, Thomas L. Toole, and Maureen Petrucci; eight grandchildren; and 11 great-grandchildren. A viewing starting at 9 a.m. Wednesday, March 20, will be followed by an 11 a.m. Funeral Mass at Our Lady Help of Christians Church, 1500 Marian Terrace, Abington, Pa. 19001. Interment will be in Holy Sepulchre Cemetery. Memorial donations may be made to the RE/MAX Main Line Charitable Foundation, 49 E. Lancaster Ave., Paoli, Pa., 19301; Visiting Nurse Association Community Services, 1421 Highland Ave., Abington, Pa. 19001; or to Our Lady Help of Christians Church at the address above.